Viknesh Vijayenthiran March 26, 2018 Comment Now! 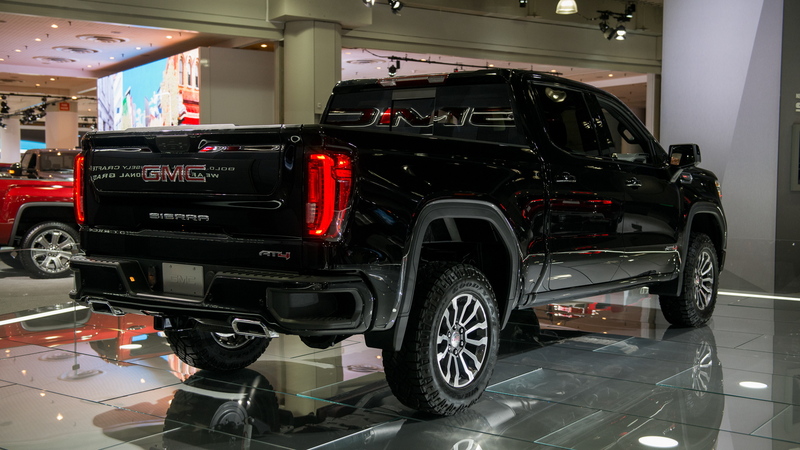 For years the subject of rumors, GMC has finally introduced its first model designated an AT4, short for All-Terrain 4-wheel drive. 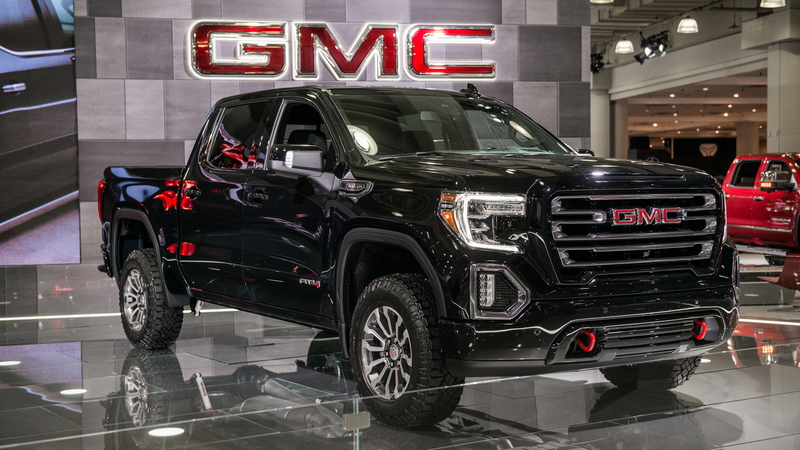 The first model is the 2019 GMC Sierra 1500 AT4, which was revealed Monday ahead of a formal debut on March 28 at the 2018 New York auto show. Think of it as Chevy's new Silverado 1500 Trail Boss dressed in a suit. 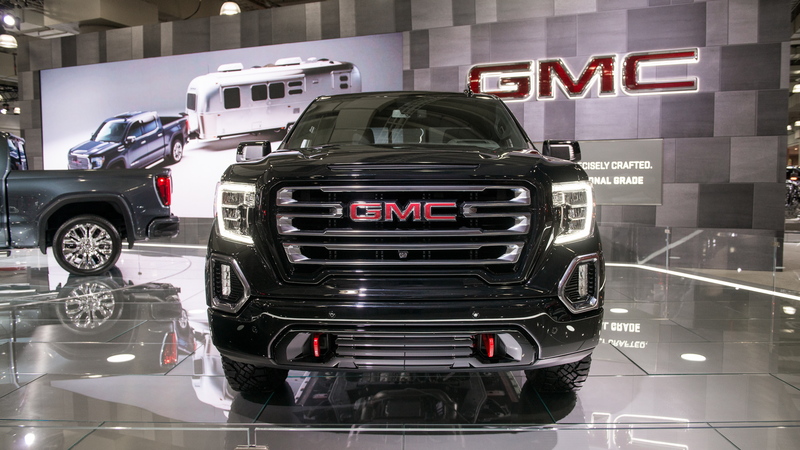 According to GMC's Duncan Aldred, we'll see an AT4-branded version of every vehicle in the GMC lineup within the next two years. But what exactly does AT4 mean when applied to a GMC vehicle? The answer is a combination of genuine off-road capability and bold yet refined styling. 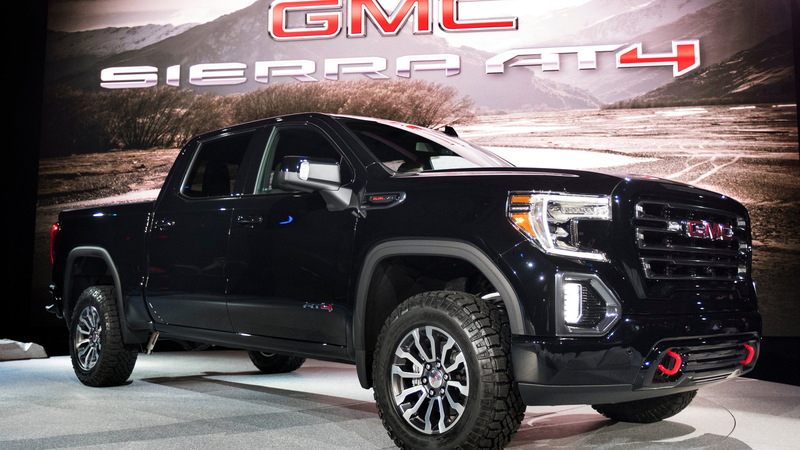 For the Sierra 1500 AT4, the off-roading kit includes a 2.0-inch suspension lift; 4-wheel drive with a two-speed transfer case, locking rear differential and skid plates; Rancho monotube shock absorbers; 18-inch wheels (20-inch available); all-terrain tires (Goodyear Wrangler Duratrac tires available); hill descent control; surround-view camera; and a driving modes selector with a specific mode for off-roading. Unfortunately there aren't any powertrain upgrades, so this is no Ford F-150 Raptor rival. The standard powertrain is a 5.3-liter V-8 but buyers will be able to opt for a 3.0-liter turbocharged inline-6 diesel or a 6.2-liter V-8. The standard transmission is a 10-speed automatic. To give it a sophisticated look, the designers have added black chrome on the fog lamp bezels, fender surround and grille insert, and they also matched the grille surround, door handles and front fascia to the body color. The final touch are some red accents, like on the recovery hooks. The interior also carries AT4-specific darkened trim, including dark-tinted and textured aluminum finishes on the steering wheel, center stack and sill plates, as well as a unique Jet Black/Kalahari color combo in the seats and stitching. Leather-appointed seating with embroidered AT4 badging on the headrests and floormats complete the look. 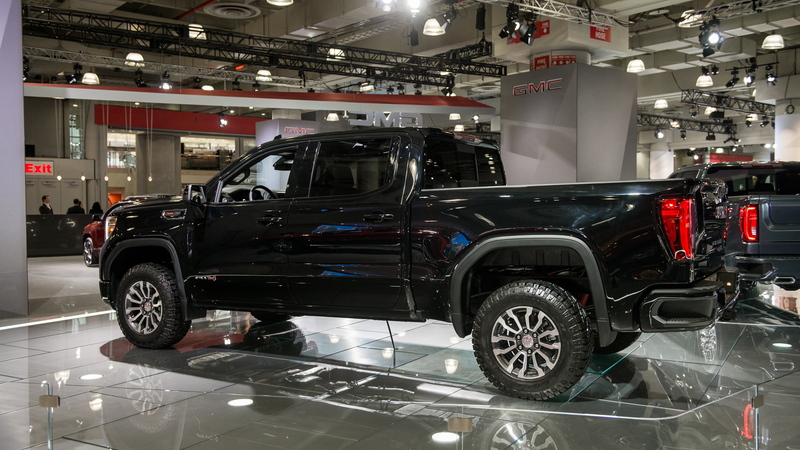 Being based on the redesigned 2019 Sierra 1500, the truck is also avilable with the new CarbonPro carbon fiber box. It replaces the standard steel inner panels and floor with a lightweight carbon fiber composite lining that's corrosion and scratch resistant. The all-important pricing information will be announced closer to the market launch this fall. For more of our N.Y. auto show coverage, head to our dedicated hub.